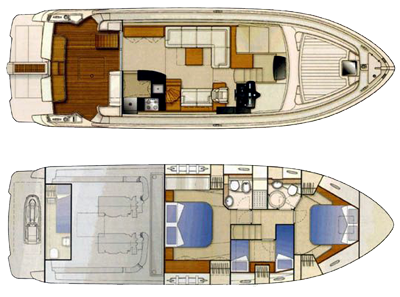 This Ferretti 530 motoryacht, a 3-cabin design that exceeds with its great use of space and offers owner and guests enough privacy as well as common areas. 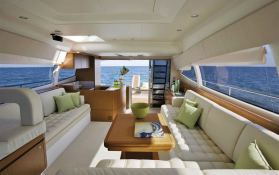 The flybridge invites you and your guests to sunbathe. 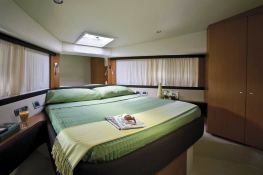 This new model has had very little limitations imposed and offers surprising amount of space. 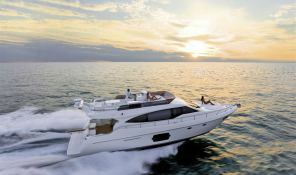 This Ferretti 530 was built by Ferretti. With its skipper, she welcomes up to 6 passengers on board to explore Angra Dos Reis and Paraty. 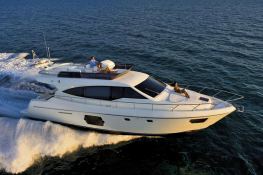 Ferretti 530 can reach a cruising speed of 28 knots thanks to its 2 powerful 600 hp engines. 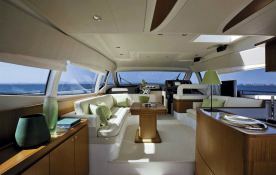 This motoryacht is available for yacht charter with a base price of 42 000 $ (approximatly 37 242 €).